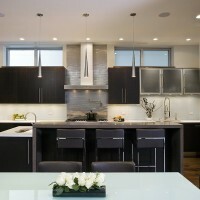 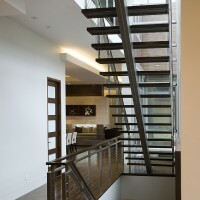 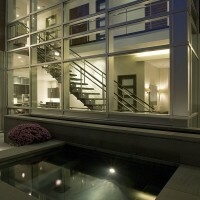 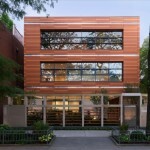 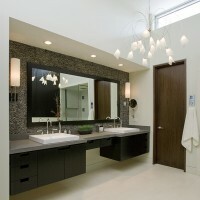 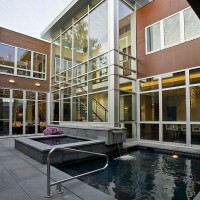 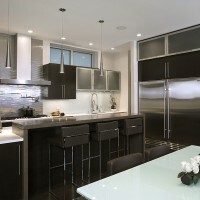 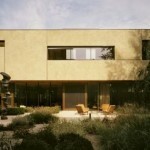 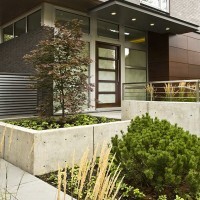 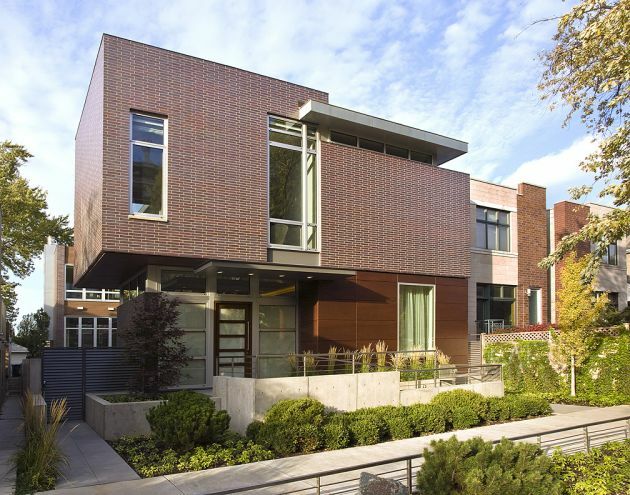 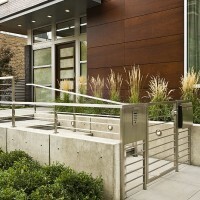 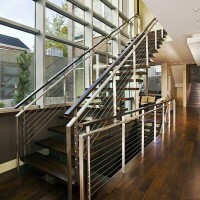 Nicholas Clark Architects have designed the Cortland Residence in Chicago, Illinois. 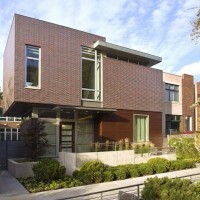 The Cortland Residence is a 7,800 s.f., 3 level home located in a dense urban neighborhood for working parents and their two children. 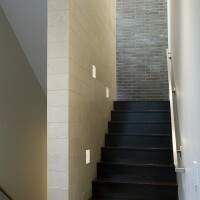 The house was designed to provide privacy and solitude for the Owners by creating a strong connection between interior and visually protected exterior spaces. 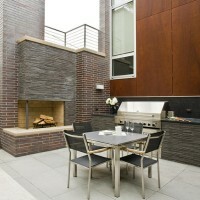 Two courtyards act as organizing elements and the focus for the interior. Privacy is achieved by the arrangement of building forms which block vision from the street. 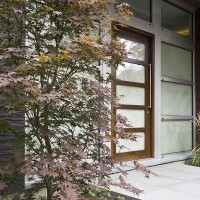 Courtyard walls are defined by planes of glass, cedar and wood panels. 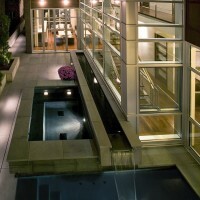 In the main courtyard, water elements create a focus and patio space is positioned next to the family room which is able to expand to the exterior by opening a folding glass wall. 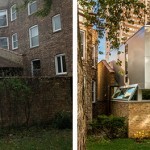 With a double lot (49’) site, the house matches the height of smaller neighbors and the building form broken down into discrete volumes to realize a similar scale. 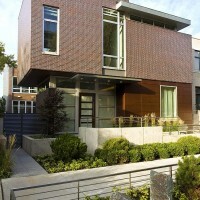 Visit the website of Nicholas Clark Architects – here.